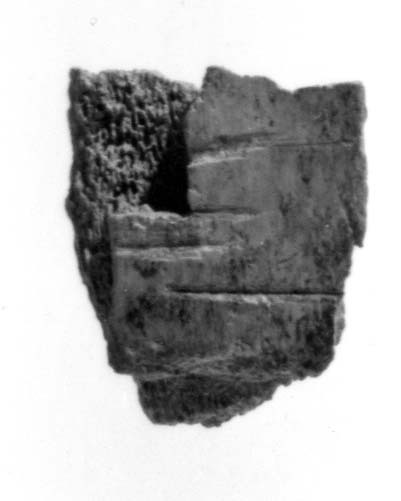 Description Small fragment, possibly of a rib bone. It preserves four cut marks perpendicular to the grain of the bone. The other side of the bone is slightly pitted.